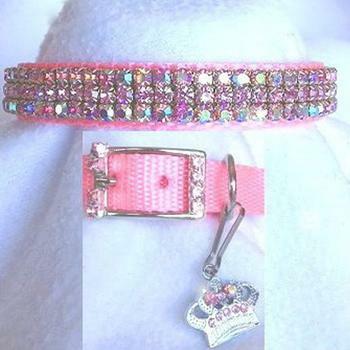 Rhinestone dog collar is 5/8" wide. It has both pink aurora borealis and pink crystals. The rhinestone buckle & crown charm are included. The Pink Aurora dog collar is Just Beautiful!